As the name suggests, this full-size Toyota SUV is both as mighty and powerful as the redwood tree that it is named after. 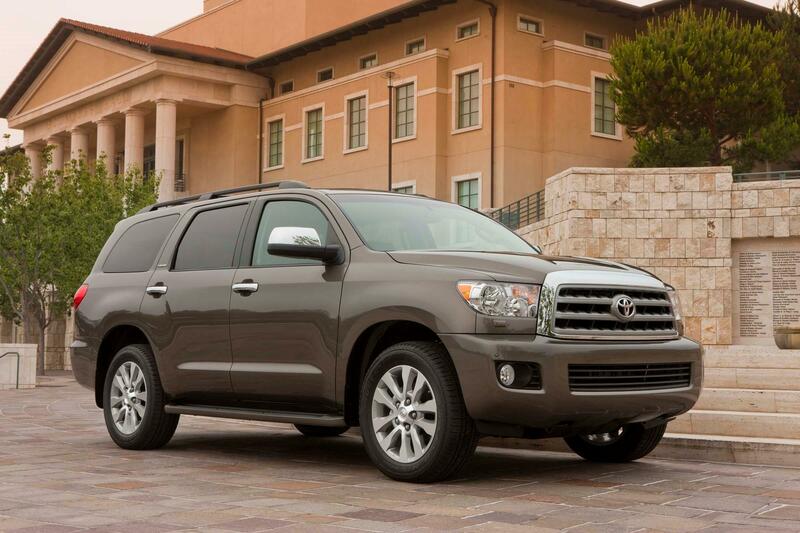 Big on roominess, power, and capability the ﻿﻿﻿﻿2017 Toyota Sequoia﻿﻿﻿﻿ is also huge on Toyota’s trademark quality and value. This beast of an SUV is the ideal piece of automotive machinery for the customer who is looking for it all! Built to give you and your family everything that you could possibly ask for all while taking the abuse that you could possibly throw at it. Powered by a dual-overhead cam 5.7-liter i-FORCE V8 capable of 381 HP. 401 lb.-ft. of torque (available at 3,600 rpm). Dual independent Variable Valve Timing with intelligence and an Acoustic Control Induction System (ACIS) provide up to 401 lb.-ft. of torque. 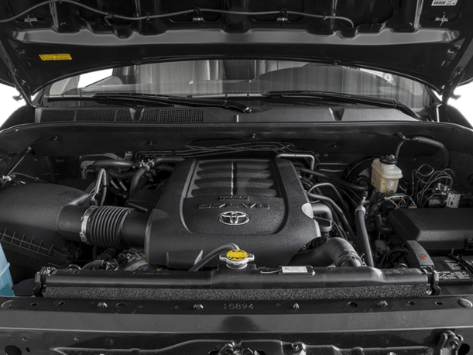 Despite being a powerhouse the all-new Sequoia only requires regular-grade gasoline. Partnered with a six-speed electronically controlled automatic transmission, four-wheel independent transmission, a sturdy frame as well as the ability to tow up to 7,400 lbs., the Sequoia is also able to handle any situation. So, if you need to get your kid’s entire soccer team to their next game or are in need of a powerful vehicle for the boating or camping trip you have come to the right place. With enough quiet, comfortable space for all of your friends and family, the Sequoia also has enough comforting space to assure top of the line comfort. Wide-opening rear doors ease passenger entry and exit, while making child seat installation a breeze. Thanks to easy folding second and third-row seats, this SUV with lots of cargo room, can also swallow up to 120.1 cubic feet of whatever needs transport – even objects up to 11-feet long. Extra-large cup/bottle holders outnumber passengers two to one. This spacious SUV even offers a plethora of extra-large cup/bottle holders and convenient hooks for grocery bags in the huge cargo area. Along with comfort and convenience, the 2017 Sequoia is also equipped and connected with the latest technology features, including Toyota’s Entune entertainment system. This system combines a high resolution 6.1-inch touch-screen display, AM/FM CD player with MP3/WMA playback capability, SiriusXM All Access Satellite Radio (includes a three-month trial subscription), auxiliary audio jack, USB port with iPod® connectivity, hands-free phone capability, and music streaming via Bluetooth wireless. Equipped with Toyota’s STAR Safety System, the 2017 Sequoia provides the unlimited protection of each and every one of its passengers. Thanks to available vehicle stability control, anti-lock brakes (ABS), electronic brake-force distribution (EBD), brake assist (BA), traction control, brake override, dual stage advanced front air bags, seat-mounted side airbags for the driver and front passenger, roll-sensing side curtain airbags for all three seating rows and even standard headlight washers to help keep the lights shining brightly even in sloppy weather you can be rest assured that no matter what lies ahead you and your passengers are safe and secure. Many additional amenities are also available for the 2017 Toyota Sequoia. Contact us to learn more or to schedule an unforgettable ﻿﻿﻿﻿test drive﻿﻿﻿﻿.